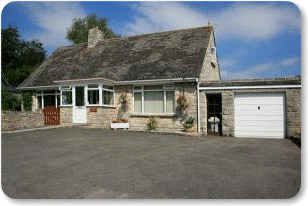 Heather Cottage is situated along a quiet private road in Corfe Castle close to local amenities and many tourist attractions/activities. The accommodation consists of two comfortable double rooms equipped with radio, TV, hospitality tray, ironing facilities and electric shaver points. A hearty home-cooked English breakfast is served to set you up for the day using locally sourced produce and we can also cater for vegetarians. We have ample off-road parking. A great base for exploring the Isle of Purbeck, the wonderful Jurassic Coast and Lulworth Castle.